The SMB sector is growing dramatically every year, increasing the competition and making market penetration harder. It’s easy to get elbowed out, which means that only those who have a clear strategy and the right tools at hand can succeed in the challenging game of being on top of the SERPs. Even though the majority of small business owners end up hiring third-party SEO experts, there are a few easy steps that can be taken to identify errors, get started with SEO, and evaluate the performance of your chosen SEO professional (or digital agency) performance. Better yet, there are tools – such as SE Ranking – that are easy to use but can do the job quickly and efficiently. A complete and detailed website audit will help you get a deeper understanding of what’s preventing your website from being ranked high by search engines. The website audit tool from SE Ranking allows you to check as many pages as you need and provides effective recommendations on the go. 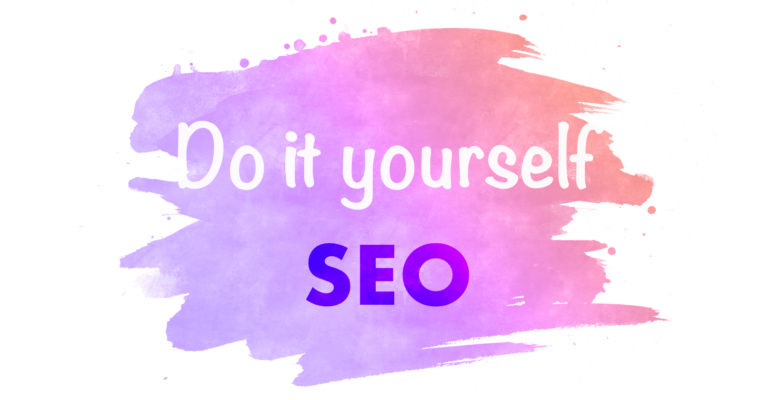 This SEO audit analyzes a website for over 70 parameters and discovers all SEO errors, including technical and content-related issues you need to fix immediately. As soon as you are done with the on-site optimization analysis, you can get a comprehensive website audit report in .pdf format or send it via email to the experts that you’ve assigned to your SEO project. Beating your competition is crucial. Doing it in the most efficient way is a must in today’s fast-paced business environment. Before you start promoting your website, you must check who your competitors are and what they are doing. You can spend hours in tedious research or you can use tools like competitor research tool from SE Ranking to help you get the insights on how your competitors are running their campaigns and beat them on that. Take advantage of the largest database: For example, for our friends in the Netherlands we have a local Google database that is the largest on the market up to date. Track positions of your competitors: You will easily be able to learn about your competitors’ paid and organic strategy. You can drill down into data on budget, traffic, and amount of clicks. You can look at your competitors’ organic keywords and their rankings. Just select those that have lower rankings and develop a promo campaign with these keywords knowing ahead of the time that you are beating your competitors. See their ads: Discover all the secrets of your competitor’s paid ads strategy, look through the text ads, and enhance yours based on this information. Moreover, you will be able to see the exact image of your competitor’s ads. You can find several checklists online. However, what you really need is a comprehensive plan to follow developed as a best practice process so no step is missing and everything is done properly. It’s based on the best practices in the field. The plan is easily customizable – users can always create their own list of tasks based on the recommendations or business requirements. You can delegate tasks to various users. Though you might be using a CRM to do this now, you’ll find it more convenient to have everything in your SEO platform. You can also test how well your website works and looks on desktop, smartphone, and tablet. When you’ve completed your on-site optimization and get the off-site optimization going it’s important to monitor your rankings. With every update of the search engine algorithm, the keyword rankings can be dramatically changed. With SE Ranking, you get 100 percent accurate data to control your rankings regardless of algorithm changes and right on time. Given the fact that the local search is one of the most efficient approaches in terms of conversion and profit, we have added an option to track rankings up to the area of the city. For example, if you have a pizzeria in New York, you can easily track the ranking of your eatery in this particular area. This is a huge benefit. While creating a semantic core, you always aim to promote keywords associated with the particular URL. With SE Ranking you can set target URLs for each keyword. If the system discovers that the keyword’s URL is different from the one you want to promote, you will get a notification. In October 2016, StatCounter found that mobile traffic exceeded desktop visits. The trend continues to grow and by 2020 it’s projected that the overall mobile usage will be 51.3 percent versus 48.7 percent for desktop. Mobile ranking results differ from the desktop ranking. That is why SE Ranking added an option to track in Google Mobile so that you can have more accurate data for successful promotion. The importance of Google Maps – and ranking in local search – only continues to increase. In SE Ranking, you can track rankings by Google Maps. Video content is one of the hottest SEO trends in 2017. To catch up and avoid missing a significant traffic share – check your rankings on YouTube. This is an incredibly useful tool. For example, you promote a URL using a particular keyword, and Google decides to change the URL to a different page of your website. In other platforms, you will learn about this only if you view the history of URL changing. Our service will notify you about the changes in the search results. Naturally, history and dates of URL changes by the particular query will be available in the system. Do you know how much time you need to wait for results in other services? With SE Ranking it takes only a couple of minutes. Besides, you can recheck results whenever you want and be aware of the most relevant information on your rankings in the search results. SE Ranking interface is user-friendly and very intelligent – it has a lot of filters and data viewing options that enable you to process ultimate analysis on the dynamics of your ranking in the search results. To make your life easier, you can use SE Ranking’s tool for social media auto-posting. Simply create posts and updates that you want to share with your audience and schedule them for posting – the service will publish it for you. Furthermore, you can view analytics on social networks and add it to the reports. You have your choice of tools (e.g., Hootsuite) to help you manage social media scheduling, auto-posting, and so forth. However, we believe you won’t find a better social media management tool than on our SEO platform. The term “SEO” can be a source of great panic for many SMB owners. But it shouldn’t be. The truth is that SEO can be managed with very minimum expert knowledge if you use a sufficient yet easy-to-use tool. When looking for the tool, use evaluation platforms, read the recommendations from the pros or better yet get a hands-on experience. A completely free trial (no credit cards required). A free live demo to guide you through the features and functionality. Starting with your first session, it will feel like you’ve been using the tool for ages. Get a 30% discount when buying a Personal Plan in October using the voucher SEJ30OCT. In-post Images: Image by SE Ranking. Used with permission.